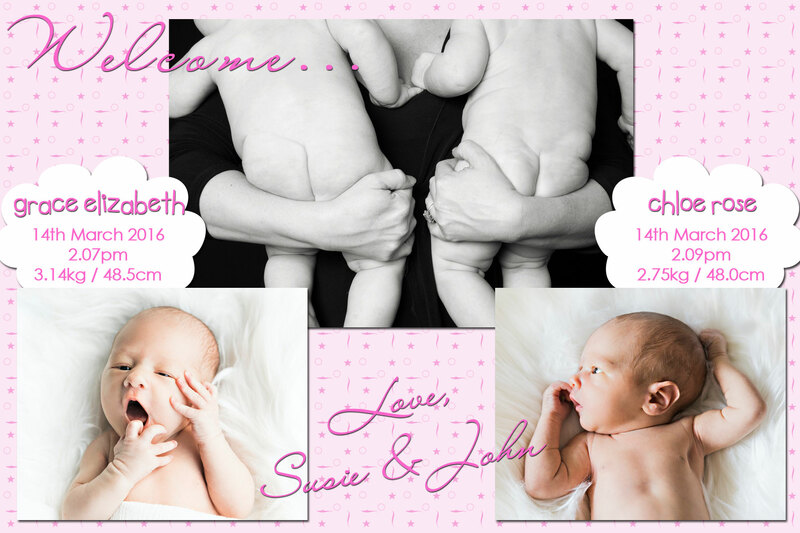 Birth Announcement card, single photo, plain upon gingham background, your choice of words. 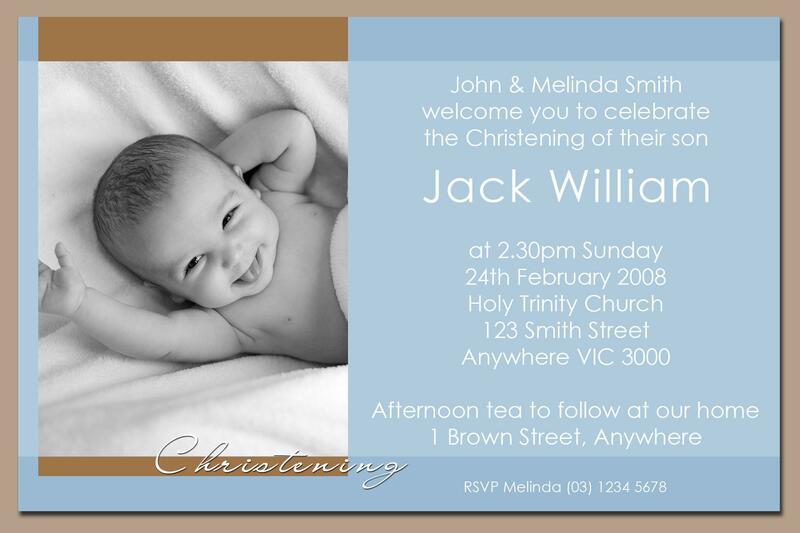 Baby birth announcement or christening card. Two photos, your choice of words. 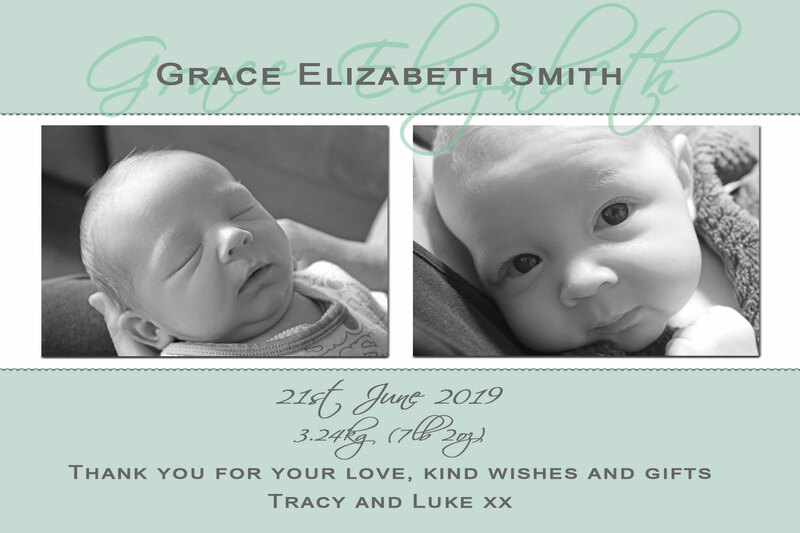 Christening, Baptism or Naming Day Announcement card, single B&W photo, your choice of words. Baby announcement card. Single photo, your choice of words. 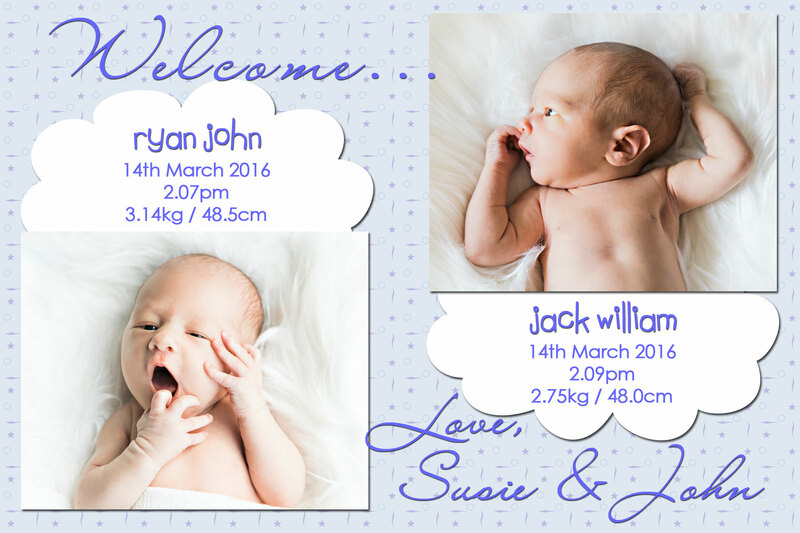 Baby birth announcement card suitable for multiple births. Two photos, your choice of words. 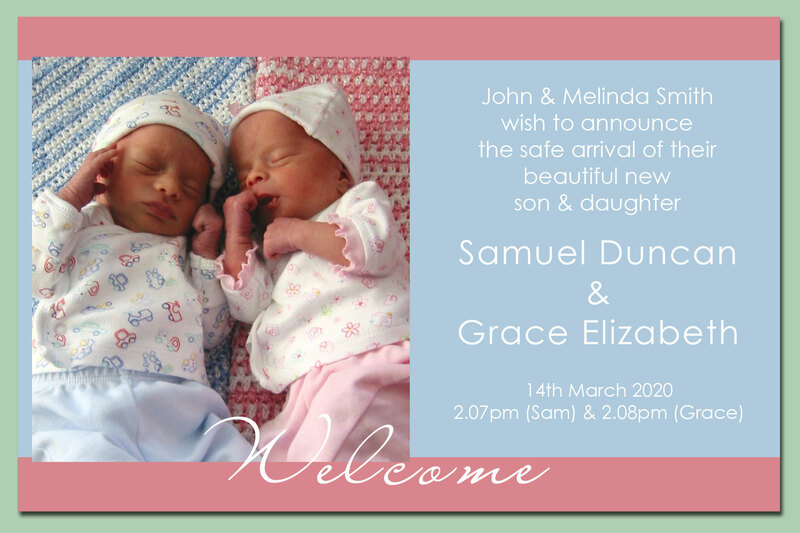 Baby birth announcement card suitable for multiple births. Three photos, your choice of words.